Extracted from original game Super Mario Bros.
Well.. what is the connection between MIDI and probability? 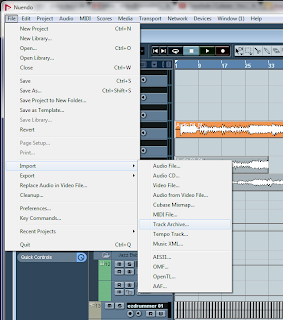 Usually musicians and sound engineers try to find flawless software and plugins with as much as precise timing and accuracy as possible. This one instead tries to skip played notes based on probability. 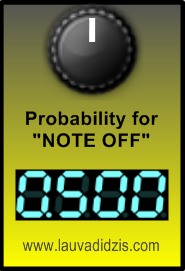 Incoming MIDI message "note on" triggers the mathematics where user defined probability level decides will the note go through or disappear. When it is useful? Well.. that depends. When I play layered instruments where one of them is kind of percussive or drums, I like to have that percussive instrument not to sound all the time. 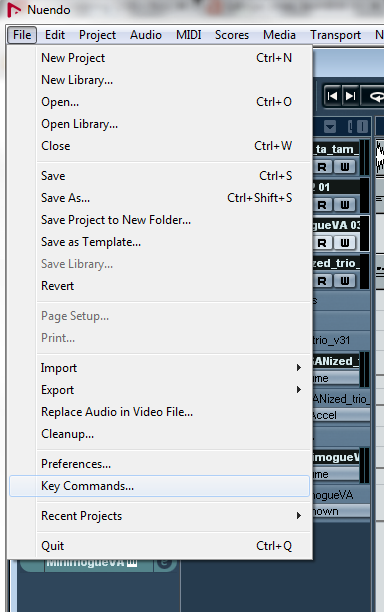 Under File -> Key Commands you can find/manage all keyboard shortcut commands. 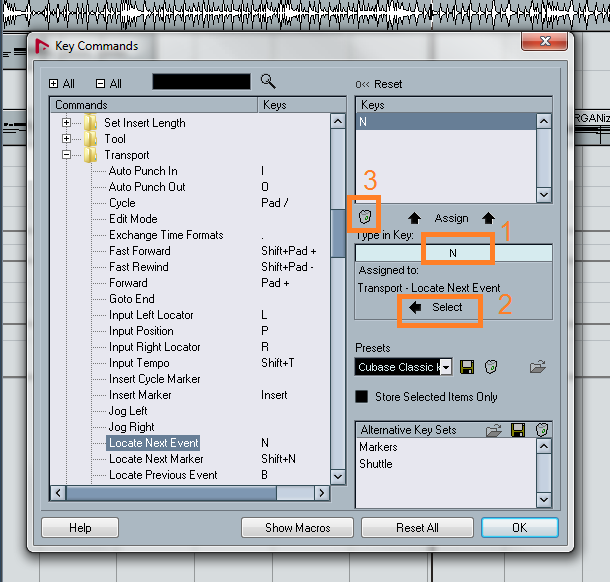 Here I remap "N" from "Locate next event" to "Normalize", because I can do locating quite easy with mouse. Firstly I have to get rid of "N" for Locate Next event. 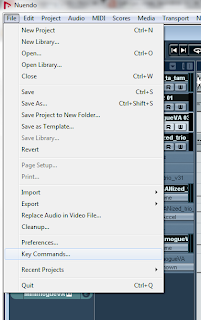 Firstly in the field "Type in Key", type in the chosen key. 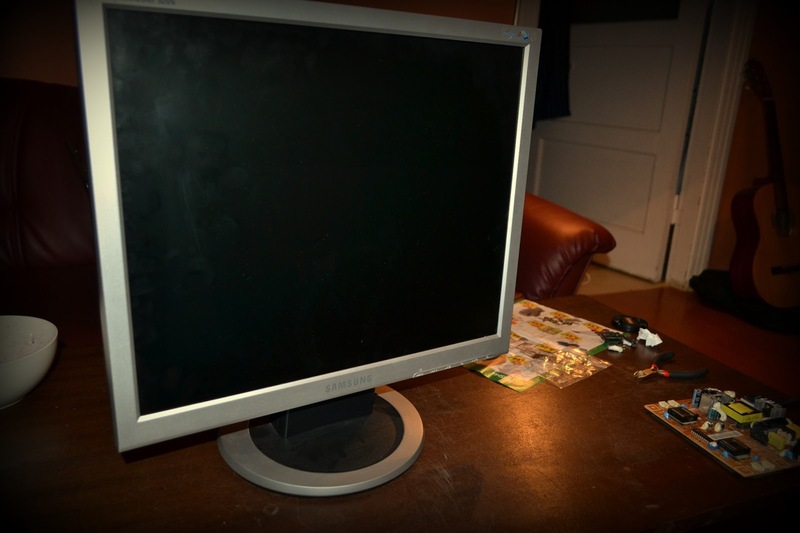 Press "Select" and it will open up according function on the left panel and click on it. 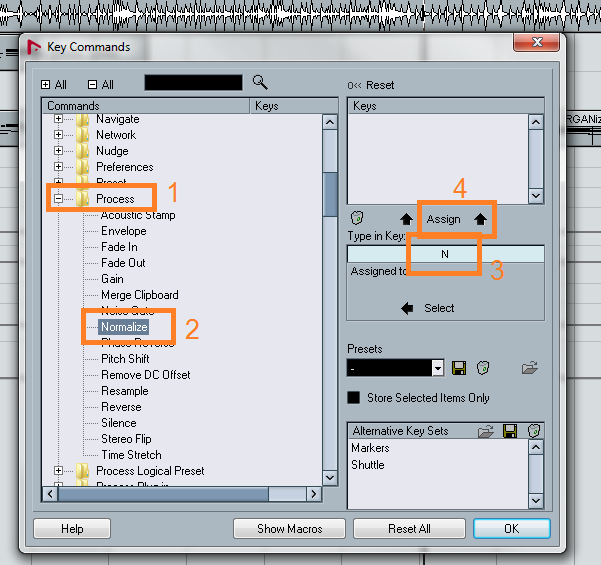 The function is selected and you can remove shortcut. 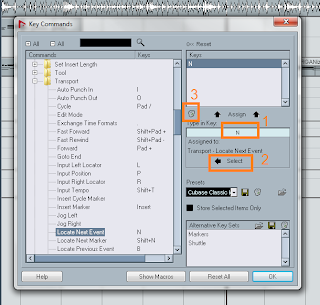 Now when you freed up chosen key, navigate to the function you want to give this key, type it in the "Type in Key" field and assign. The key will show up in "Keys" textbox. The story: I help to record some instruments in my home and then I would have to send all recordings to the studio to combine with other tracks. 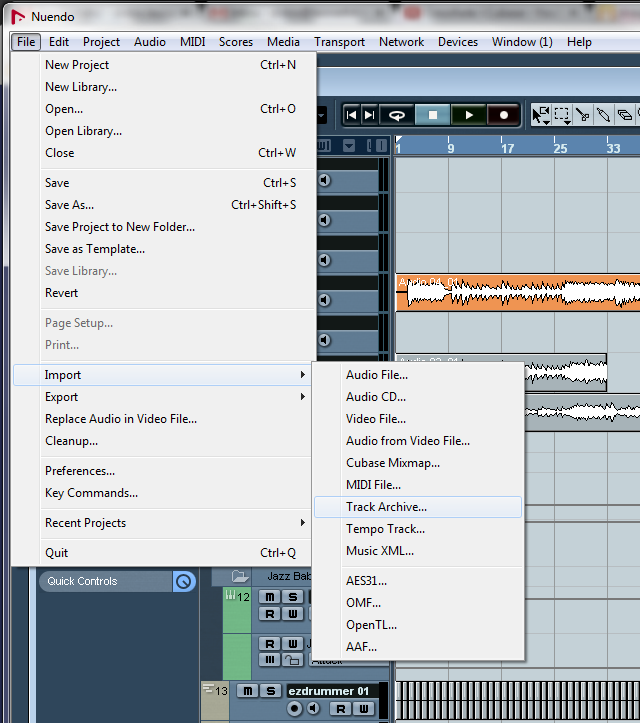 The question: What is the best way how to import/export recorded tracks? 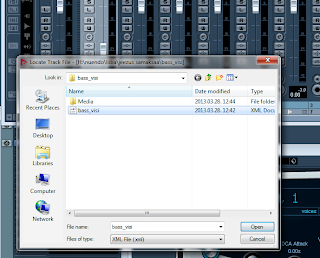 The easiest way how to import multiple tracks altogether is "import track archive"
One step back. What is track archive? 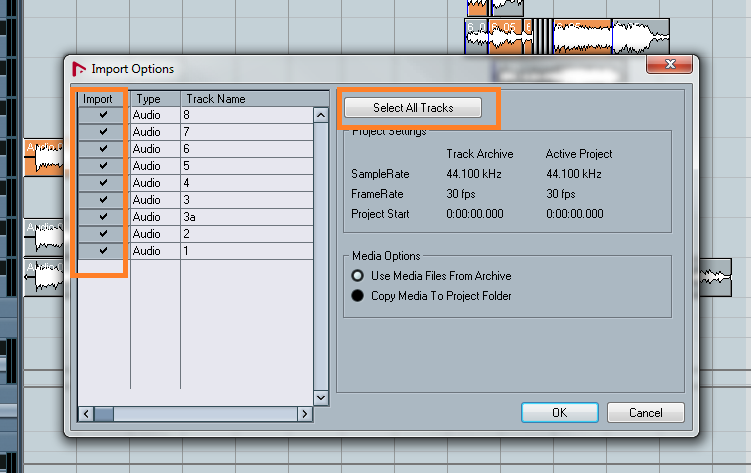 When you do "Export multiple tracks", it creates separate folder with all your selected tracks and parts. 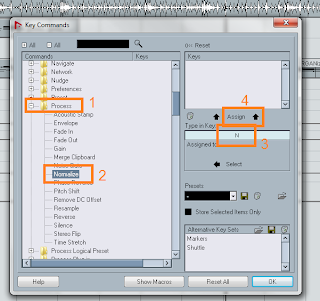 One more thing what happens during exporting is Nuendo creates an xml file. 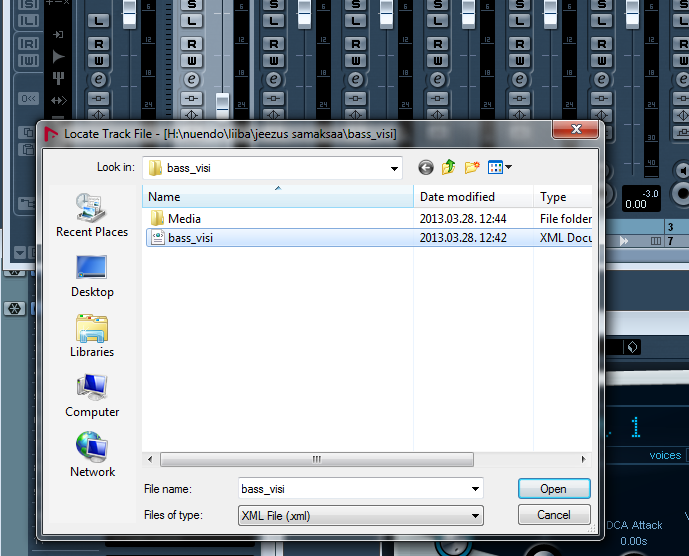 This xml file is like a map which consists all information about in which track goes which sound file and in what time it starts. 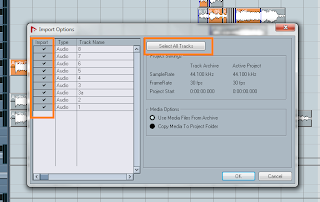 Basically, this is what you are going to import - this is track archive. Browse to that xml file and open it. Press OK and here you go - all colors, extended information about fading and which parts are muted, etc. imported in Nuendo in other computer in different place. Yeah, that`s right. MPEG 1 Layer 3 File stands for MP3. 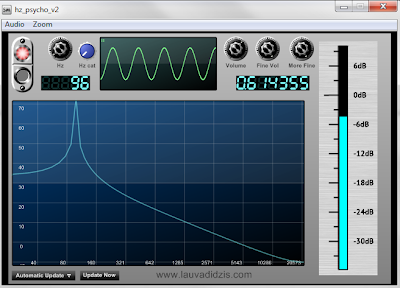 This program is made to determine auditory threshold and give brief demonstration of sine wave and its Fourier transformation. On the left side there is possibility to change the frequency, on the right side - to change volume. Using the value of volume it is possible to sketch the hearing threshold at given frequency. *for both lead guitars as they were played in Mežaparks concert, not for radio version. 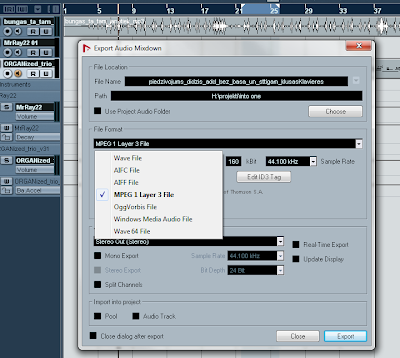 LFO midi parametriser is midi vst effect which usually goes before vst audio input. 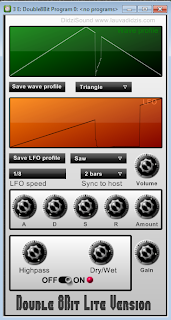 It creates certain midi cc messages with values derived from LFO. 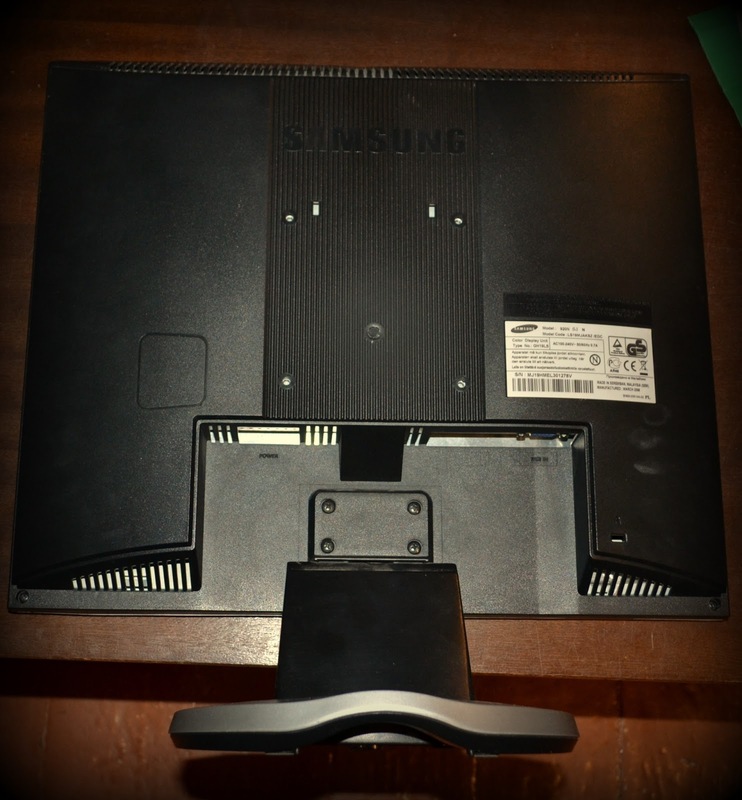 Synchronizable with host. 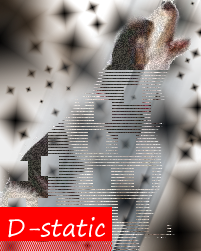 Can be downloaded here. In these last New Year holidays I was figuring out how wavetables works and what can be done with them. 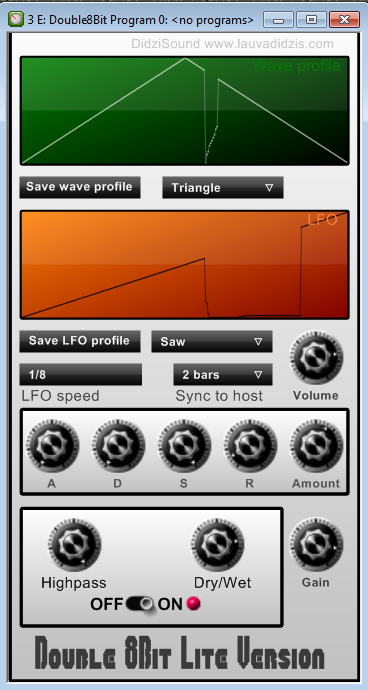 This one is simple 8bit (256 samples length) wavetable VSTi synthesizer with syncable 8bit LFO. Waves can be drawn with mouse directly on wavetable area creating different user wavetables and save as txt files for further use. This synth has ADSR envelope, two-knob filter, LFO synchronisation with host, inner volume and gain control. Lite version can be downloaded here. Without LFO mix.